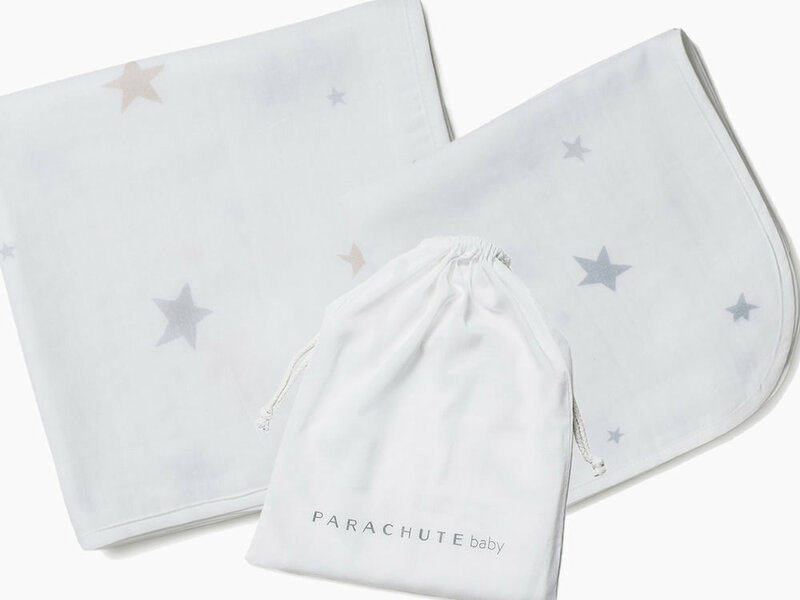 Parachute sheets are available now for the luckiest babies. Parachute’s baby collection of percale sheets, hooded bath towels, linen quilts and cashmere blankets make perfect gifts or luxurious comfort for any baby. The percale and linen bedding collection is made from the same high quality fabrics as full size options, but in just the right size for babies and toddlers. The colors are subtle with great names like fog and blush. Best part, prices range from $19 to $149 for the cashmere blanket. The packaging is beautiful you won’t even have to gift wrap it. Everything in the Parachute Home Baby bedding collection is not only super-soft, but responsibly manufactured, gender-neutral and Eco-friendly. All baby bedding products are made with Egyptian and Turkish cotton in family-owned European factories, so you’re getting a high quality non-toxic product backed by generations of craftsmanship. 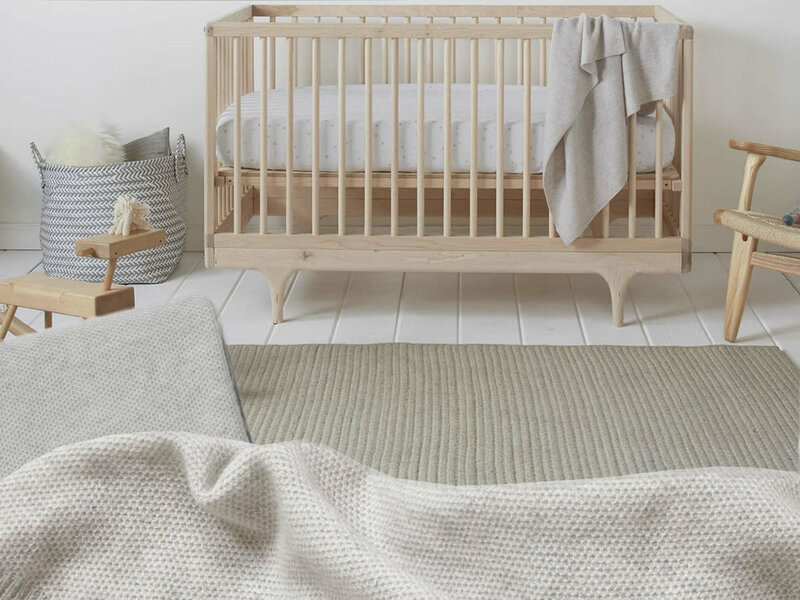 Parachute Baby Collection comes in muted hues of blush, fog, and white, so you can mix and match colors to change up the look. Items ordered arrive inside a reusable bag made of the same luxe materials, so you can re-use as an upgraded laundry bag or carryall. The perfect size to hold all those baby sized toys, knickknacks and bath accessories; cotton balls, nail clippers, hair brush, comb etc plus looks great as storage on the dresser or bath counter. You can also use it to stylishly store sheets and blankets in the linen closet, shelf or drawer. You have a 60 night trial on all Baby products so you take time to decide if they work for you. You can also purchase the same percale sheets for your bed. We highly recommend the Parachute Baby Percale Crib sheet. It's made from a soft, natural fabric with a muted moon and star pattern. The fitted sheet fits standard sized cribs. The 100% long-staple cotton is eco-friendly and chemical free. The Percale is lightweight, breathable and cool to the touch, perfect for delicate baby skin. Smooth and cool to touch, the sheet provides a comfortable sleep surface for babies. Conveniently machine washable, buy two so your baby always has one to sleep on. The soft Baby Swaddle blanket is one of our favorites. The swaddle blanket is a cute star patterned blanket with in a generous size of 40” x 40”. It is incredibly soft and breathable. The fabric is durable yet delicate and made of 100% cotton muslin. It comes in three colors, sand, blush and teal. A set of all three colors is $45 or a single is $19. The Swaddle Blanket is something you will use every day as a play mat, napping blanket, diaper changing station, car seat blanket and nursing covers. Parachute Baby fabric is so soft, and the blankets keep the baby warm, but lightweight enough to keep baby from overheating. It's freely woven, allowing heat to escape and fresh air to enter so your baby can be comfortable without overheating. Best of all, it is machine washable. We like that it becomes softer with every wash! The Baby Swaddle Blanket makes a great baby shower or anytime gift for friends and family. This is a baby quilt that is going to solve lots of issues for a baby. You can put it on the ground for play mat, tummy time, nap time or as a stroller or car seat blanket. Take it to the beach, friend’s house or park – its durable and so versatile. This baby quilt is soft with a medium weight ideal for layering. It is made of a 100% Linen front and a 100% Percale back, a good combination of texture from the linen with the soft, lived-in feel of percale. It comes in three colors, blush, white and fog. The Essential Baby Quilt in Fog is sold out at the time of writing but is expected back in stock. The quilt is machine washable and makes a great gift. A soft knit from pure Cashmere, the Parachute Cashmere Baby Blanket adds a touch of luxury to nurseries, strollers or even car seats. Made of 100% Cashmere, silky and snugly, the blanket features a honeycomb knit that is super soft and lightweight. The grey color is calming and peaceful, just right for encouraging naps. Breathable material: The wool keeps body heat in during cold weather but allows the body to maintain a comfortable temperature in warmer weather without overheating. Softness: Cashmere is soft and will not irritate the baby's sensitive skin. In fact, the blanket gets softer with age and washings. Durable: The blanket should last for years and should not unravel or pill excessively. The Parachute Baby Cashmere baby blanket is unbelievably lightweight against baby's delicate skin, not scratchy or itchy. The cashmere is exceptionally soft, breathable, lightweight and at the same time warm. Cashmere has excellent thermal properties, light, fluffy and warm. Cashmere is sort of like an 'air conditioning', that is warm in winter and pleasantly cool in summer. This is due to the air pockets between the fibers, as air is an excellent insulator. Perfect for keeping the baby comfortable. Although it says dry clean only, we’ve washed it in the washing machine on the delicate cycle and it has held up fine. Just lay flat on a towel to air dry. Of course it is always best to follow the manufacturer’s recommended laundry advice but here is our advice if you want to wash the blanket at home. Wash the baby blanket by hand in cold water. Use a gentle detergent such as Woolite. Never use chlorine bleach. Lay the blanket in a towel and fold it into the towel to get out excess water. Do not wring the blanket. Carefully lay the blanket flat to dry.